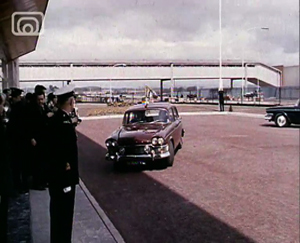 The 1960s was an important time in Scottish society when many changes in attitudes towards society, women, space, war, money and industry evolved. This lesson guide compares the 1960s with today by looking at some films and advertisements from the era. If you are interested in the 1960s, the lesson guide 'Advertising Detectives' is another useful resource. Watch the short clip Hendry’s Cola. In groups discuss current adverts on TV and comparing these to this advert. Such discussions could be based around questions such as who is the target audience, how do we know this, how successful is the advert in conveying its message? 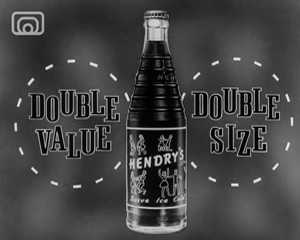 Make up jingles for modern Hendry’s Cola advert and a slogan. Learn the dance moves and make up a modern dance. Watch the advert without sound and discuss and play modern songs which would suit the dance. 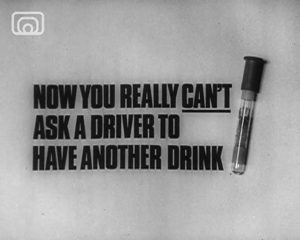 Watch the short advert Drink Drive Ads - Advert 2 which was from the public information campaign when new drink drive laws came into place in the 1960s. Draw the comparison of media then and now, clothes, surroundings and attitudes. Debate on Drink Driving, penalties, outcomes and consequences of this. Involve the local Police Community Officer to visit the school to talk on this subject, watch the advert, make comments, display current drink driving equipment, leaflets and posters. Possible breathalyser test on a willing volunteer...! There is an excellent site with current Drink Driving adverts for comparison. Watch the short advert Save in 1969. Discussion of prices in “old money” Has anyone some at home? Find conversions of old to new money. Note and add old money and take equivalent new money on a shopping trip to local Cooperative. What can you afford? What would these items cost now? Talk from local Cooperative on how they help people save today, their Fairtrade commitment and community involvement. “The Divie” this was the start of loyalty cards and many people can remember their parents'/grandparents' dividend number. What is the Cooperative structure and history? Make up a new logo and slogan for the modern day Cooperative and ask the local manager to judge. Role play advert structure using findings from the shopping trip. Watch the promotional film Young in Heart - Clip 1 and Clip 2. Discuss use of computers shown, which is the start of mechanisation in industry, and how computers have changed are now used in industry, particularly in the car industry. Make a comparison of car industry then and now. What are the effects and social consequences of the recession? Make a conveyer line in class to make a simple product. Individual pupils to make the same product and compare outcome in terms of time, quality and usability. This could lead to a discussion on team working versus working as an individual. Look at the lyrics for the Proclaimers song “Letter from America”. Make up lyrics using today’s closures. Debate “Roads then and now” in terms of state, size, volume of traffic and accessibility. Study the history of the development of the motor car with particular reference to Linwood and Scotland. Visit the Transport Museum in Glasgow to see a real Hillman Imp! Have a visit from a vintage car club, or go to a vintage car club rally. Design a “Car of the Future” making plans and 3d models, taking sustainability and green issues into account as well as the varying needs of the rural area versus the city area. Test an item to destruction. Design and test a carrier bag for example and discover the design elements which will hold the most without bursting. Use Bee Bots or other programmable resources such as the Roamer to complete an obstacle course or pre-determined route. "Mission Control" from Sherston Software is excellent for sequencing in a production line. Watch Dunbar - The A1 Resort. Holidays, Where do we go? What do we do? What do we wear, all questions that can be answered for then and now viewing this clip. This could lead on to discussions on how holidaying has changed over the years and why. Concerns over the effects of too much sun and other associated hazards of holidaying abroad, could lead on to health issues. There are many excellent resources available on Dunbar and the open air swimming pool in particular. www.dunbar.org.uk has before and after picture of the pool and lots of photos under 'Old Open Air Pools'. Watch Feet Off the Bottom. As this clip has no sound, writing a commentary offers vast potential. Music and sound effects could also be added either using ICT or simply by the pupils speaking and providing appropriate sound as the clip is playing. This could be recorded and assessed by their peers. Is this similar to the way swimming and diving is taught today based on the pupils own experiences of learning to swim? Ask a swimming instructor to view the clip and give his/her opinion on teaching techniques. Visit to the local swimming pool and try out the techniques shown in the film with help from a swimming instructor. This lesson guide was prepared by Primary School teacher Eilidh Morris.